It always amazes me to see the creative ways in which students and readers of my books adapt my techniques to their very own creations. 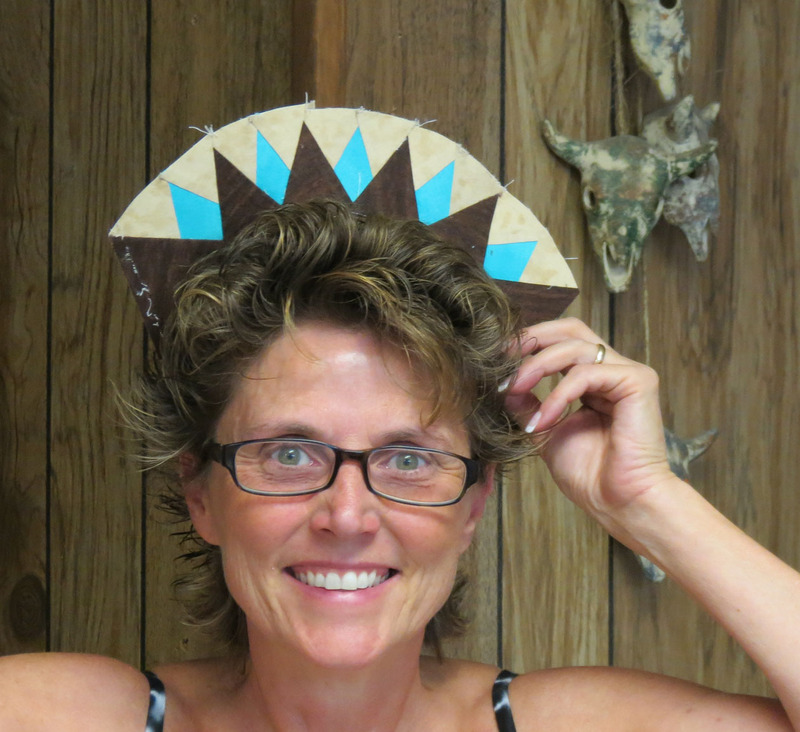 Recently I discovered Sharon Schutt’s blog Five Shadows. 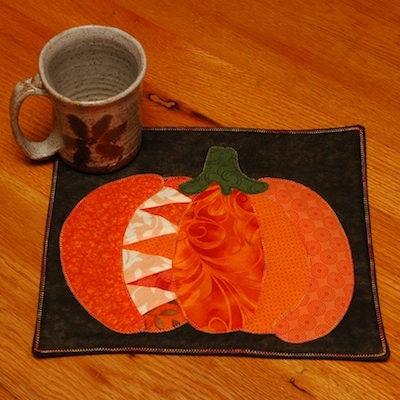 She used the filler strip ideas in my book, Flying Colors, to enhance her pumpkin design in the mug rugs she is making. Here are some pictures of her cute little pumpkins! i just love the creative use Sharon has made of filler strips. 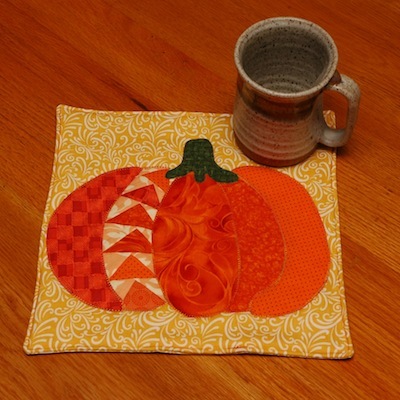 Thanks for sharing this on your blog, Sharon! 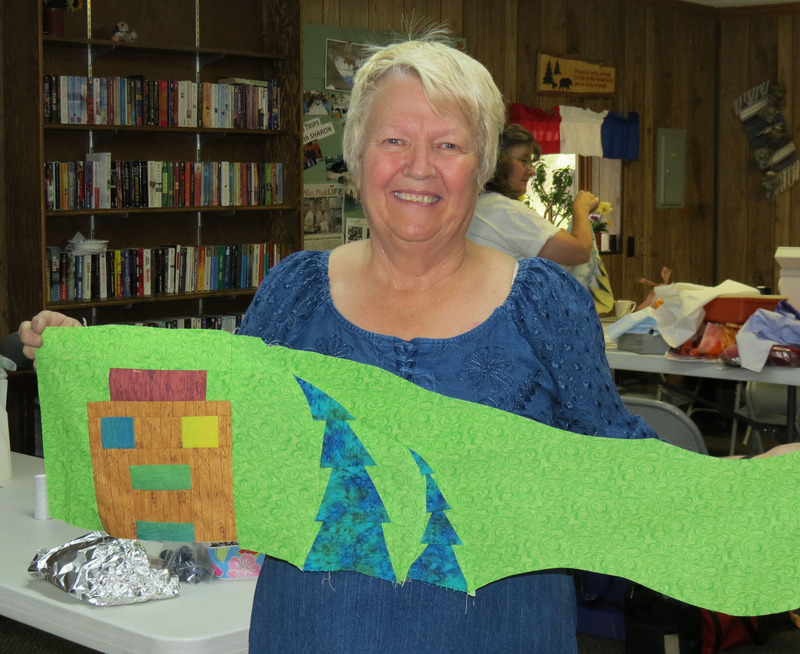 If any one else has made a quilt using filler strips or other ideas from my books or classes, please send me a photo at gail@hawksaloft.org. Twins, or Should it be, Sisters! 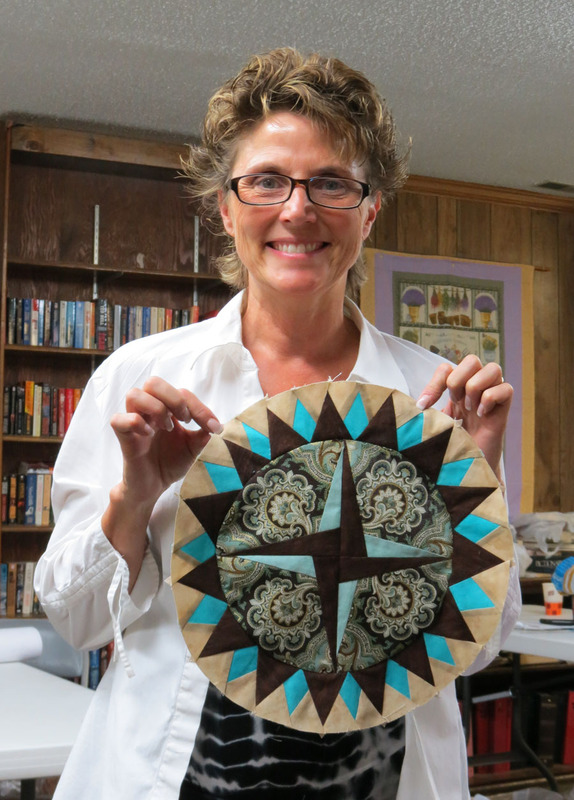 While teaching for Quilters Above the Clouds, Wendy Dillenschneider brought some show and tell. 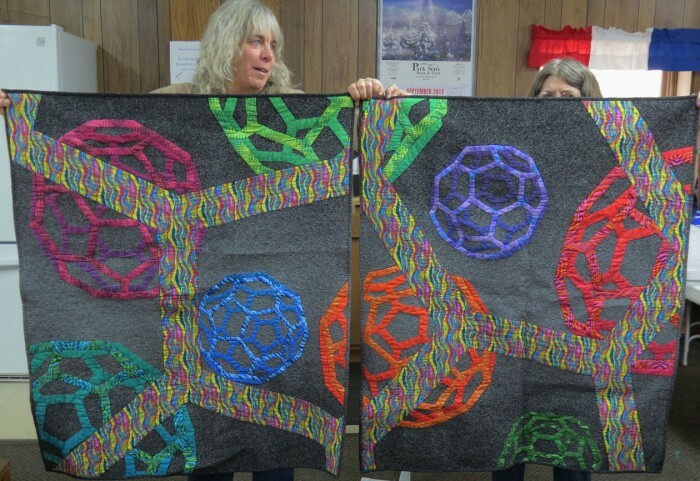 This is a 3-D quilt in which she and fellow quilter, Betty Dietz, each made 1/2 of the design. Both halves were finished independently and are meant to hand side by side. Nice job, ladies! 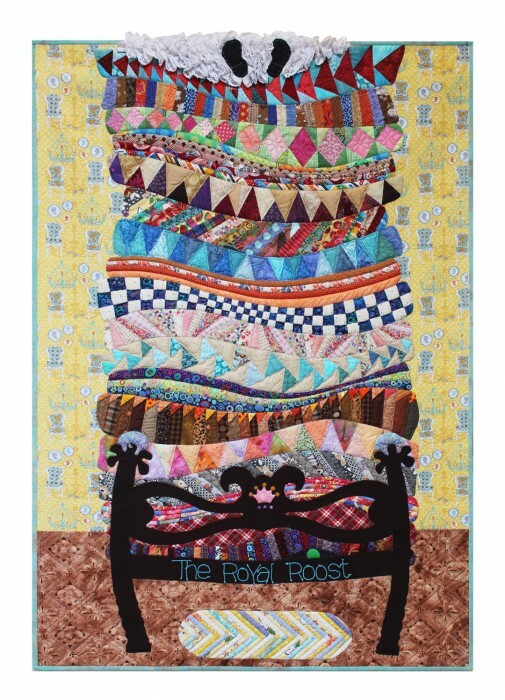 Many thanks to Jill Monley, for sharing this image of her fabulous quilt, based upon the fairy tale, The Princess and the Pea. Jill took my five-day workshop at Empty Spools Seminars at Asilomar Conference Center, on the Monterrey Peninsula in California, in April 2012. 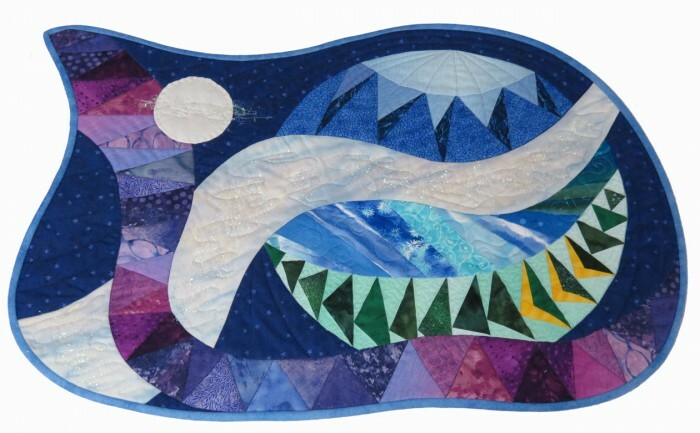 The quilt was made for a guild challenge with the theme, fairy tales. I think it’s a pretty darn fabulous quilt too! Good job, Jill! Welcome to the heights above Colorado Springs! Fall was in the air at the mountain town of Woodland Park where I was teaching over Labor Day weekend. My host and hostess were the Kroenigs, whose spacious home was perched high on a mountainside about halfway between Woodland Park and Cripple Creek. 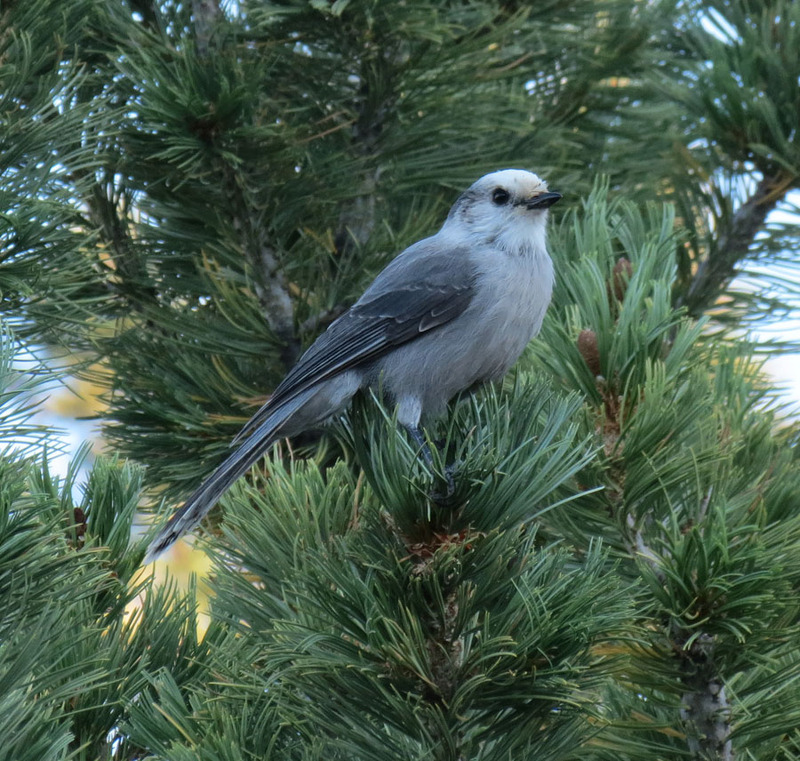 A Gray Jay was waiting for us on their deck, hopeful of a snack handout. Andrea, my hostess, quickly took to the free-form design technique and whipped out two tiny trees in short order. I can’t wait to see her finished project. 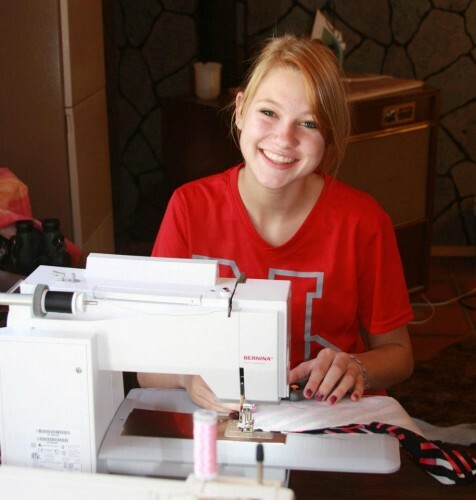 Kim was just about the most enthusiastic designer and always had a huge smile on her face. 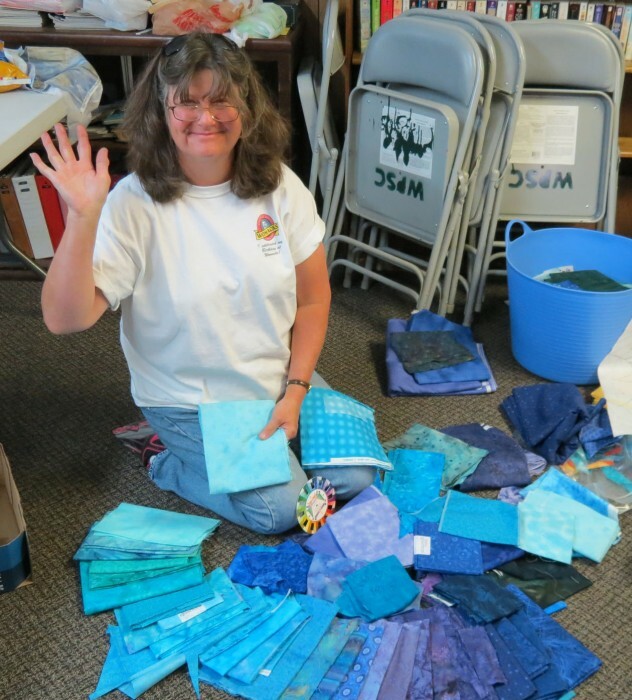 even when she was setting about the sometimes tedious business of arranging her fabrics in a color run. 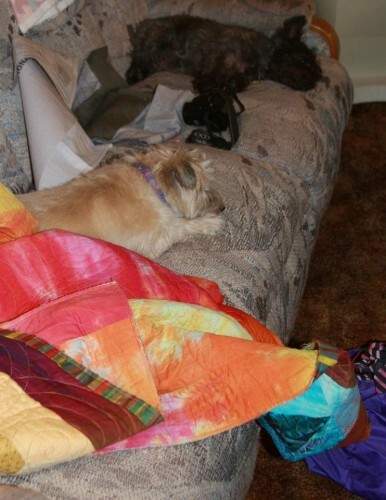 Cindy, (no last name given) had never before taken a quilting class of any kind. Studious and diligent, she designed her own project and was well on the way to completion at the end of the two day class. 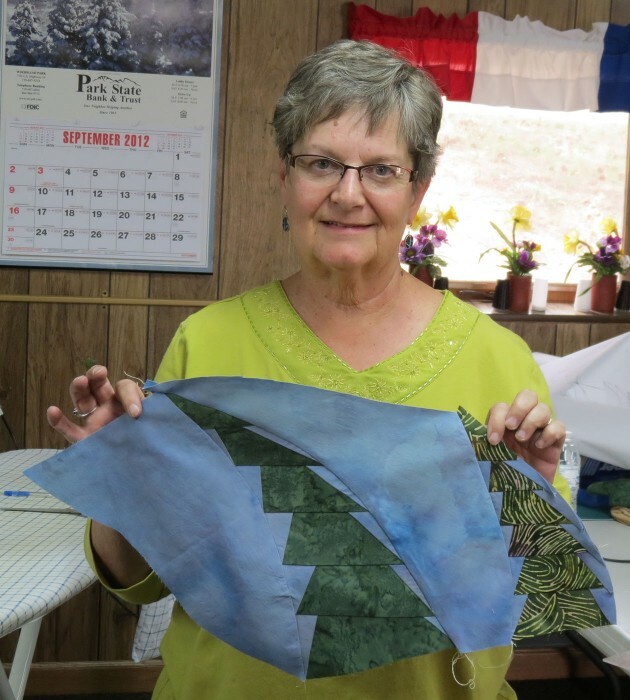 And, she finished that part of her quilt in class! Good job. Elizabeth and a friend also make some delightful lotion bars that they sell locally. She gifted me with a wonderful vanilla scented bar. It feels so good on my dry hands. Chris got the prize for the speediest sewing. The house-like structure on the left will become a saloon, typical of those found in Cripple Creek, a mile-square gambling town at 9494 feet above sea level. I can’t wait to see it done. 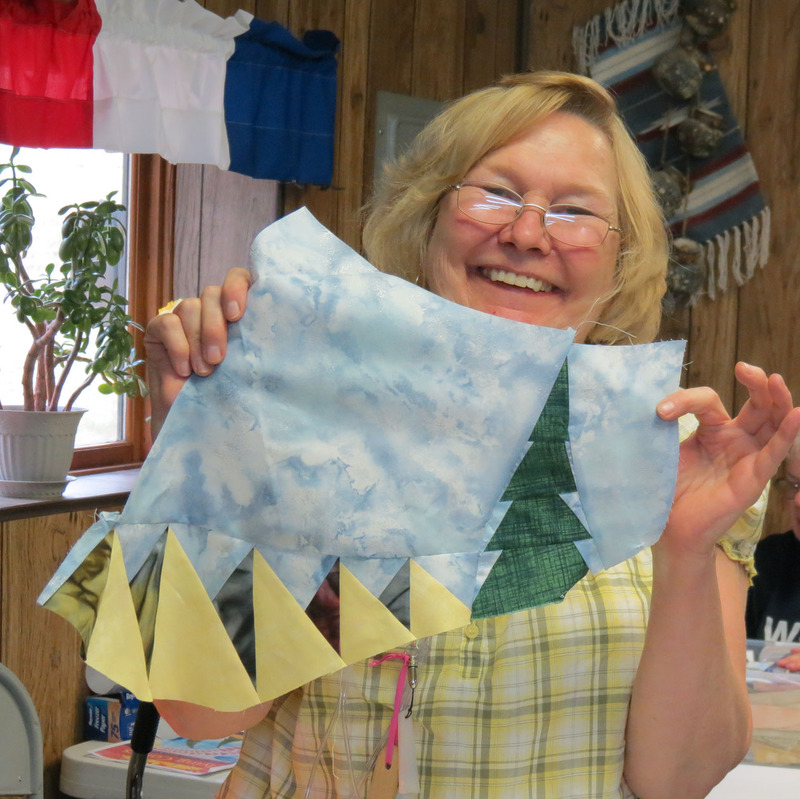 Judy was well into her design too, with a ‘tiny tree’ and ‘mountains and valleys’. 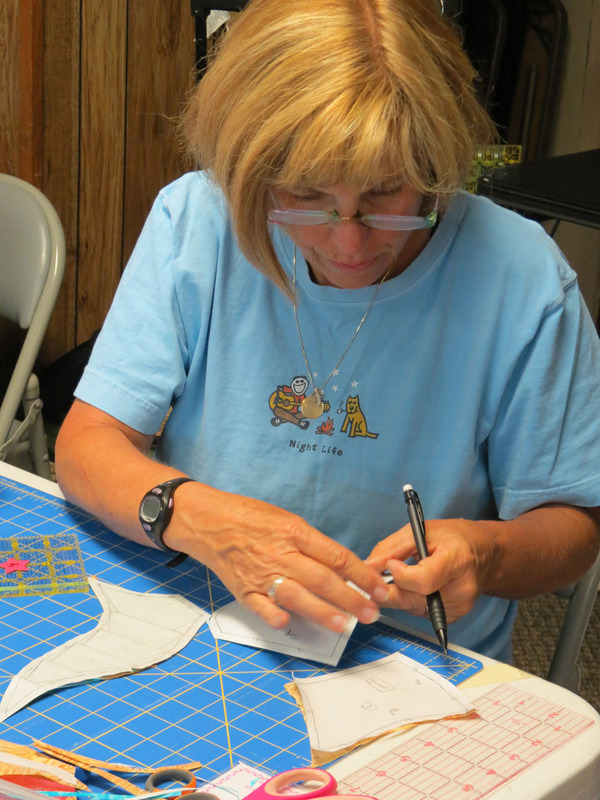 Deborah pins the curved seams for piecing! It was a great weekend! 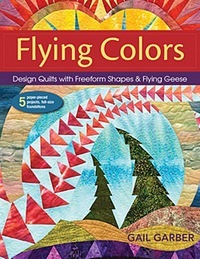 I hope I get to return one day to revisit this wonderful group of quilters. 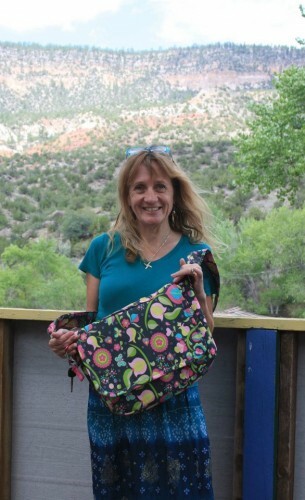 Here’s a fine design by Marybeth Wujcik of Colorado Springs. She took my 3-day workshop in Santa Fe in 2011 and created this design, accented by couched Angelina fibers. Marybeth owns Nana’s Quilt Cottage in the Springs. Check it out next time you are visiting that area! 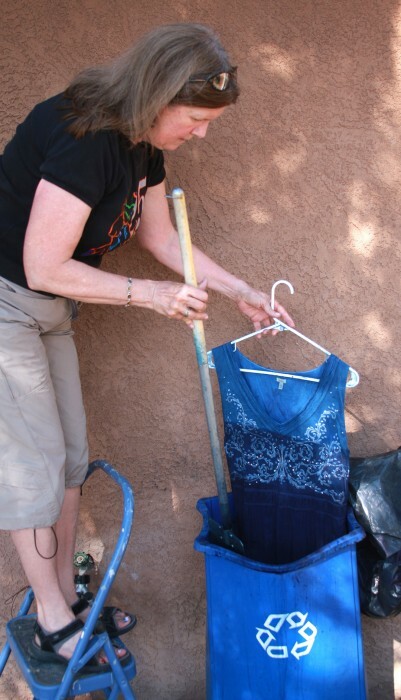 Here’s the dragonfly dress that required several days of pasting using my favorite stencil, Donna’s dragonfly. 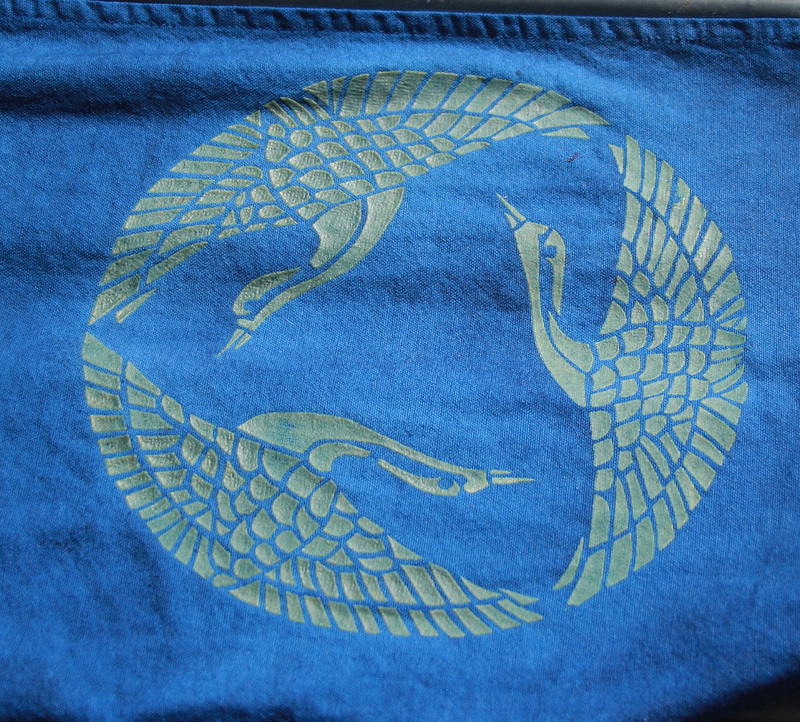 Each time I pasted a section, I had to wait for it to dry before moving on to another part. 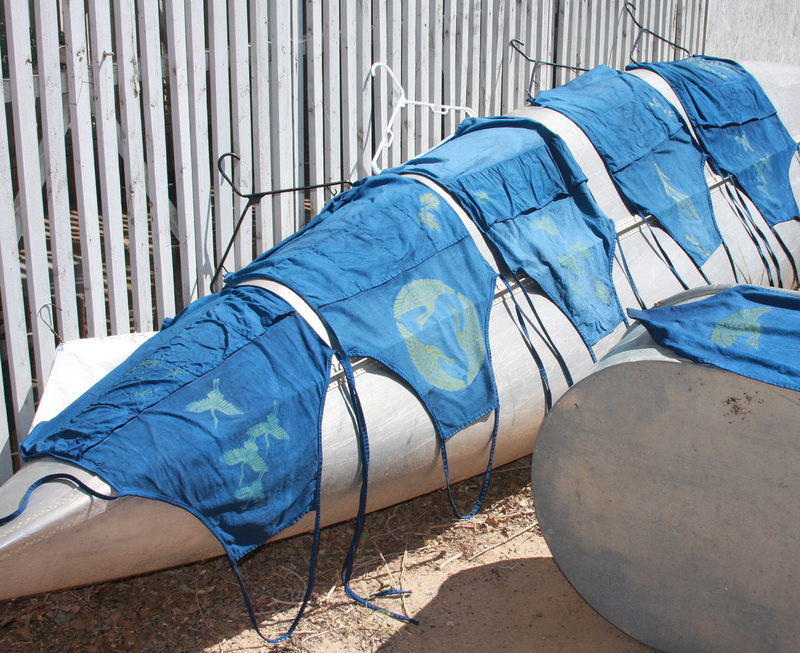 My friend, Charles, also loves indigo dyeing. He pasted several items and came over so we shared a big dipping day in the vat! Here are a few of his treasures drying in the sun. Charles was making holiday gifts, well in advance of the season. Actually, in 2011, we discovered that the best time to dip was on a blisteringly hot day. That’s because the pieces with resist dry more quickly so we can get more than one dip in an afternoon. Here, you can see the graduated colors that occur with multiple dips. However, since the dress is long, dipping only the lowest portion required a little help. 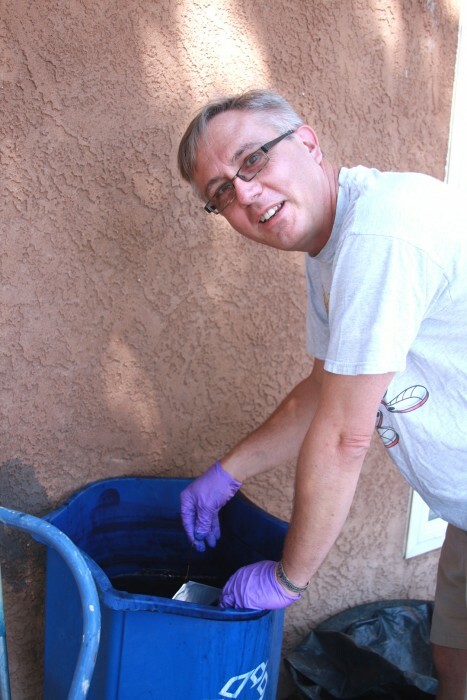 Every home should have a tallish step stool so the dipper can be taller than the vat! Here’s the back view of my dragonfly dress. It was finished in time for me to wear it to the costume party for my dance group. The theme was “the blues”. I love this dress. 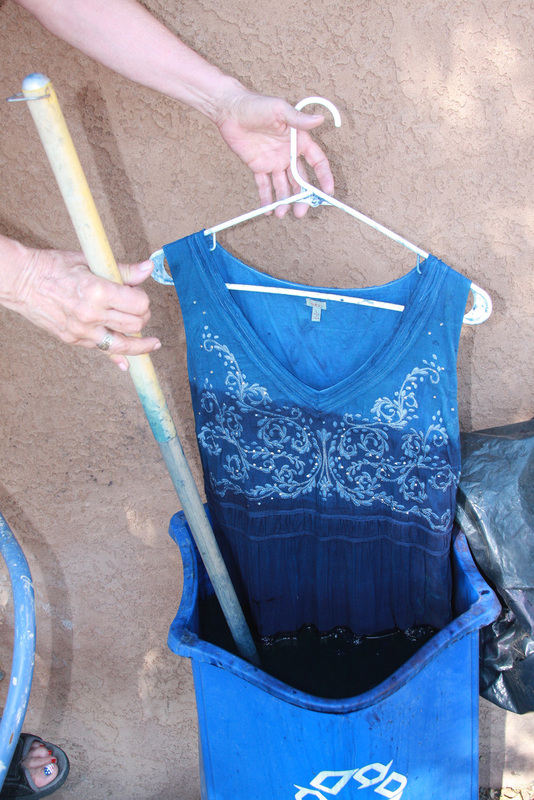 Having an indigo vat inspires me to buy white garments so I have more stuff to dip. I hope that I can keep this year’s vat going into next summer. I’ve never before gotten such dark blues from one of my vats! 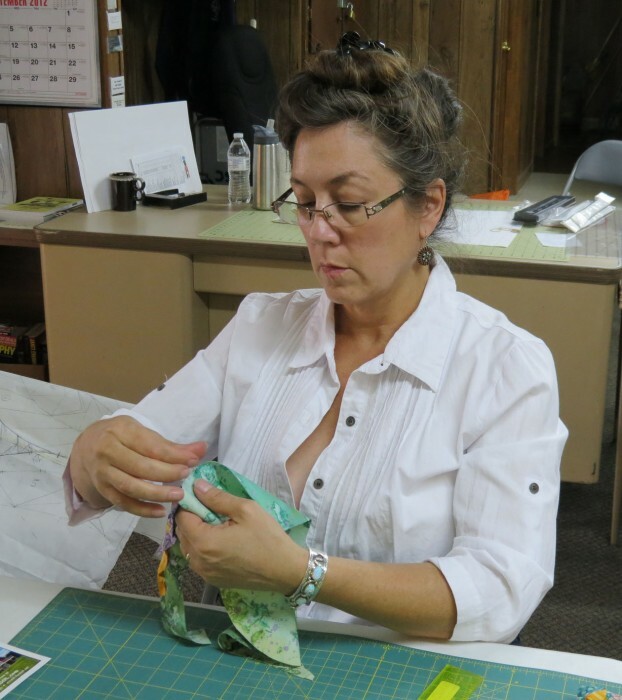 If you have a chance, think about taking a class from John Marshall or Karen Miller. You will be glad you did! Sandhill Crane resist on cotton. I know I’ve been lax in posting to my blog lately! But, although I haven’t been posting, I have been doing! And, doing lots of different stuff! 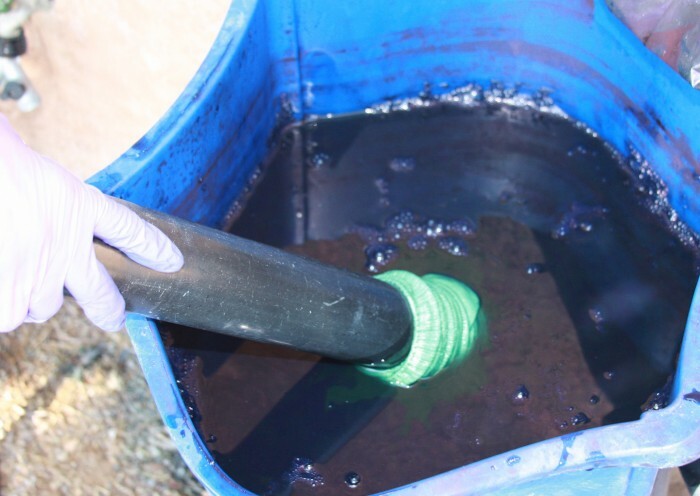 One of my favorite types of dyeing is making up an indigo vat to get those lovely shades of blue that only an indigo vat can achieve. I took a class from John Marshall a while back and with thee help of my good friend, Donna Barnitz, we cooked up a new vat in late July! The next step is to mix up a batch of rice paste resist. 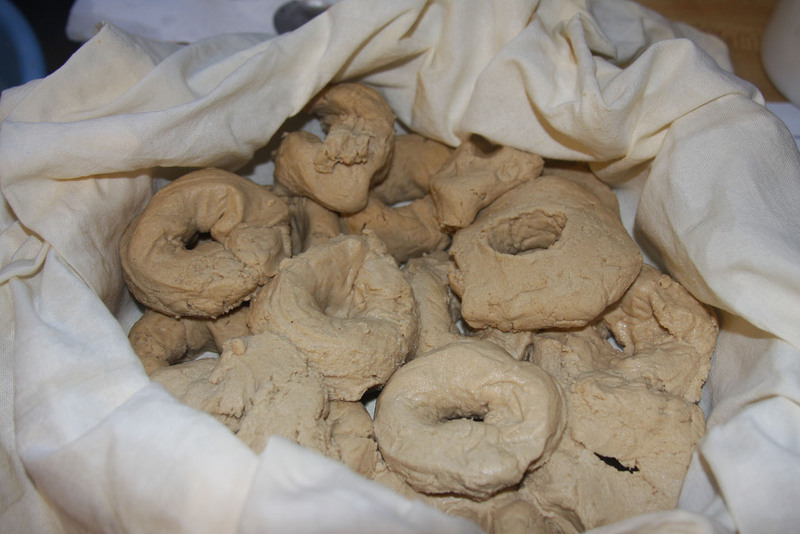 After the first mix, we form donuts of dough and put them into the rice steamer. Almost done now! 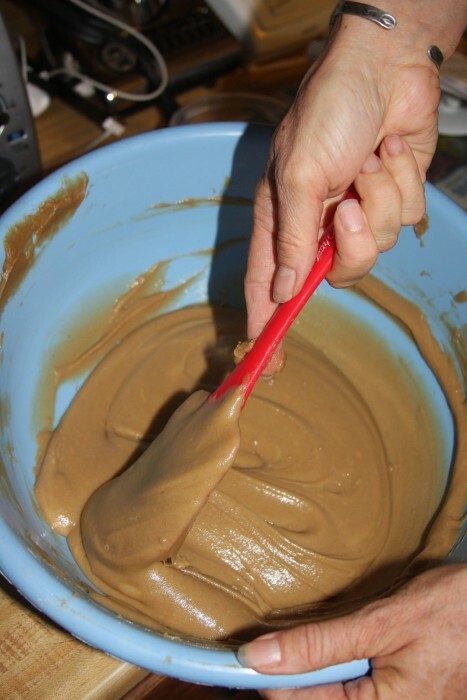 After the steaming, we add a few more ingredients and stir it up into a smooth paste – ready to apply to the fabrics. We made stencils for pasting in a previous class with Karen Miller. I only made one stencil but Donna made several! Sorry, no images of the pasting part — I forgot to take photos. We pasted and pasted. And then set the pasted pieces aside to dry. Sometimes the pasting can take several days as we wait for one part to dry before pasting more on the same piece. So, we began by dyeing socks! 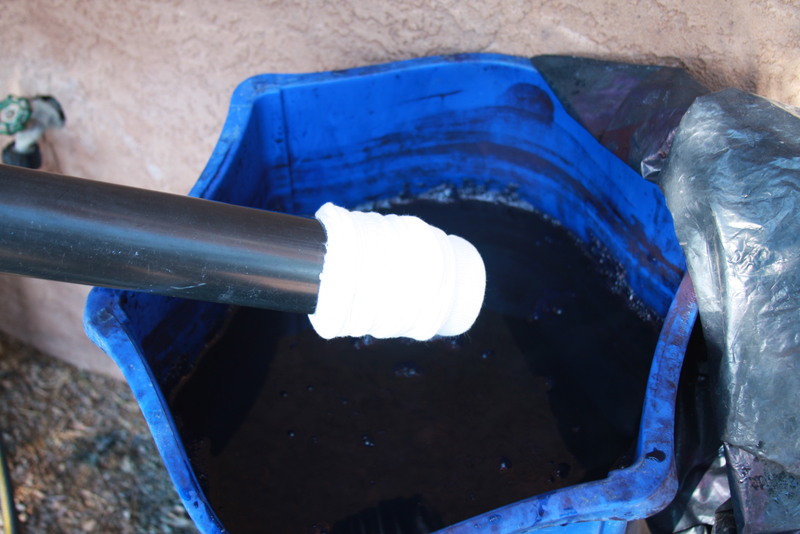 A good indigo vat has a wonderful, earthy smell and is oxygen free. 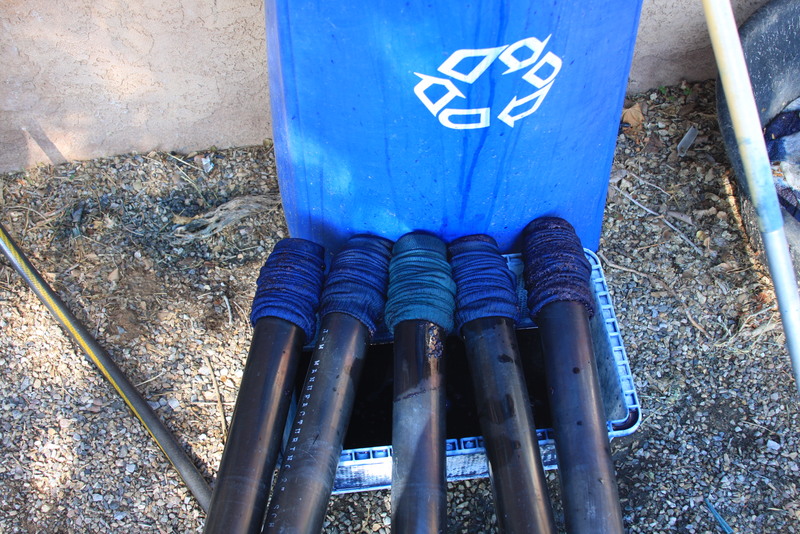 Here, you see the white sock, either bamboo or cotton, scrunched up on a PVC tube. When the fabrics are immersed into the vat, they turn an emerald shade of green. Once they are pulled from the vat and exposed to oxygen, they turn that gorgeous shade of blue. To get a darker color, multiple dips are necessary. 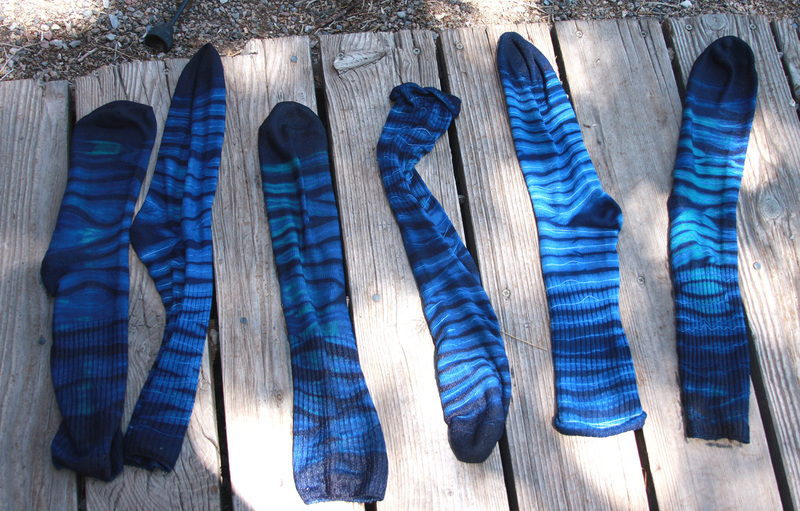 Here are our first six socks, drying in the shade. I love this technique. Thanks, Donna, for thinking it up! A Girl’s Weekend at the cabin! 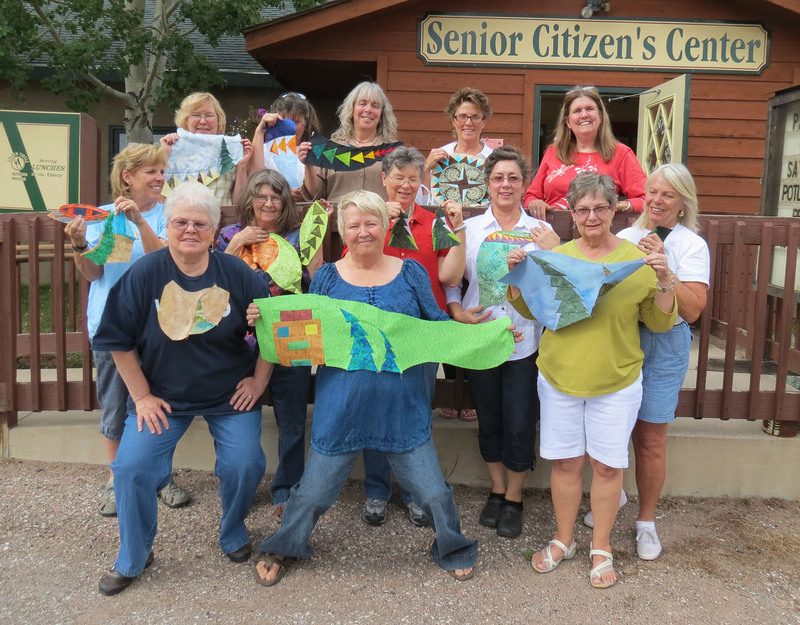 I love to retreat to my cabin in the Jemez Mountains of New Mexico for a sewing weekend. This time I asked my friend Lizzie and her daughter Rhianna, and my friend Chellye and her daughter Lindsey to join us! 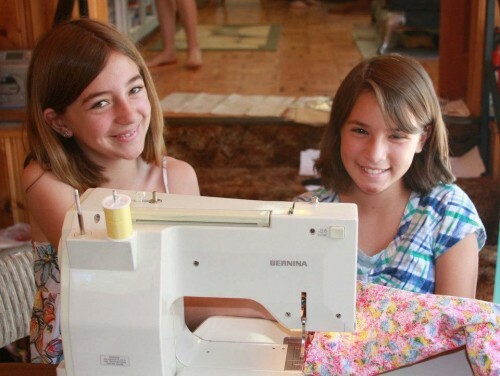 I think it’s very important to pass along a love of sewing to the next generation. 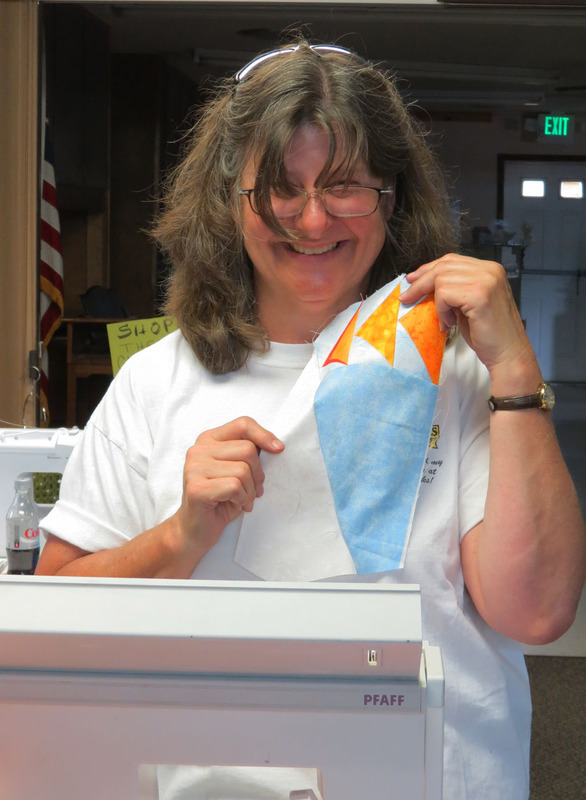 Everyone brought whatever they wanted to sew. 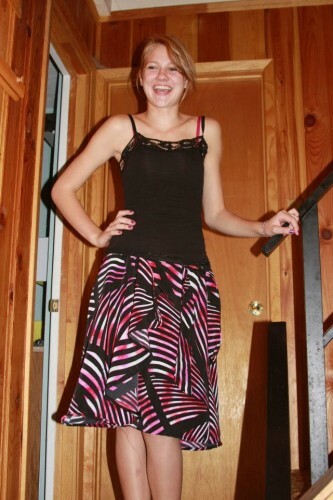 It was Lindsey’s first time making a garment – a wrap skirt. Rhianna brought her friend, Olivia, and they decided to make tote bags of their own design. The Garber dogs held down the sofa while we stitched. 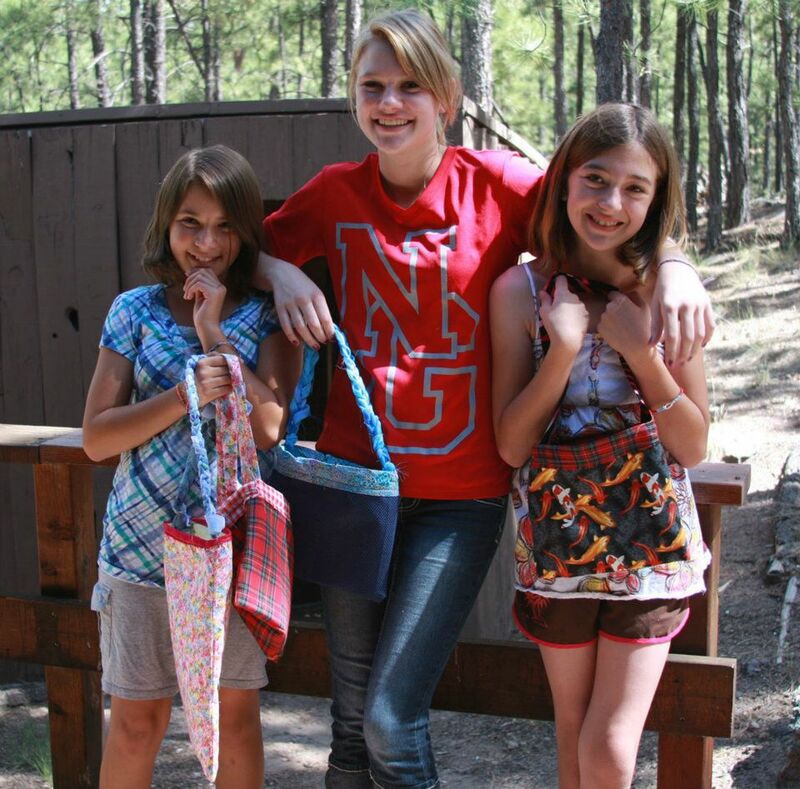 The girls show off their new totebags. And here’s Lindsey’s stunning skirt, all finished in one day! Chellye made a denim skirt with fringed edges, also completed in one day! And, Lizzie completed the bag she had begun on our previous sewing day. Our sewing finished, we took a break to go down to the local swimming hole. 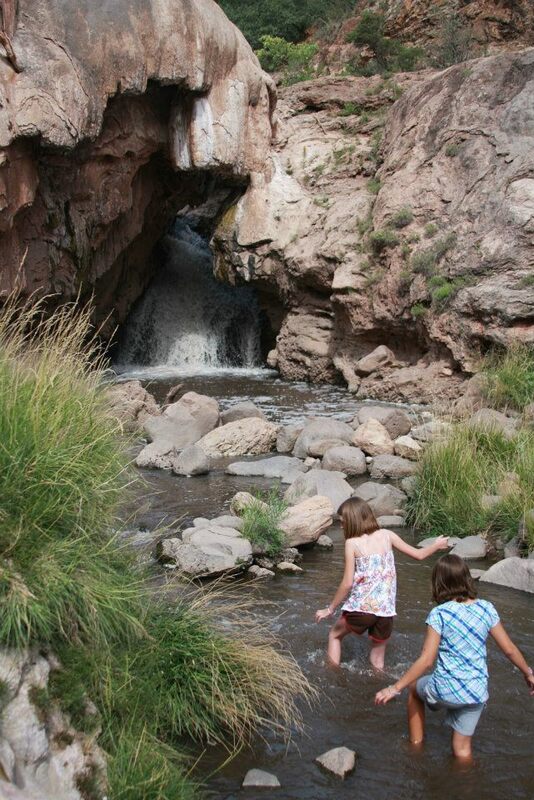 Wet kids, wet dogs, and a hot afternoon. It was time to retire to the deck for libations!